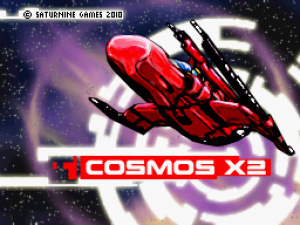 Those of you who've dabbled with DSiWare shoot 'em ups may have had a blast to Cosmos X2's soundtrack, and now it's available for you to carry around with you wherever you go. Saturnine Games has just released an alternate version of the soundtrack with the guitar parts performed live, a short sample of which you can hear embedded below. If you want to download the complete soundtrack, head over to the Cosmos X2 soundtrack download page to pick and choose individual tracks or just grab the whole lot. I like it. A little short, but it isn't a full fledged song afterall. That was rockin'. I'll have to check out the rest of it, now. Meh. The soundtrack isn't bad, but it's free. I like it. The fact that it's absolutely free is just gravy. Sounds good. People under appreciate DS music.